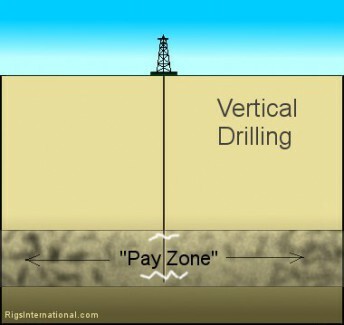 Vertical Drilling provides access to a well that is not faced horizontally at its deepest point. Extraction can only occur directly beneath the well head when using Vertical Drilling techniques. This application is quickly becoming outdated because of the recent advances in Directional (Horizontal) Drilling technology. Directional Drilling is far more efficient and environmentally-conscious, and just happens to be the preferred method for the oil and gas extraction industry. See Directional Drilling for more information.